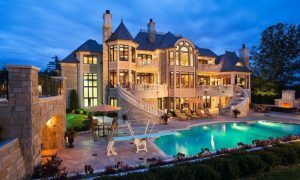 As you search homes for sale on Lake Minnetonka, you will notice that prices can range from the low $300’s and go up into the multi-millions. The homes under $400,000 are typically either Lake Minnetonka deeded access homes or Lake View homes, not water-frontage. To buy Minnetonka lakeshore property, the price range will normally be in excess of $400,000 to tens of millions. Ranked as one of the best lakes in Minnesota, Lake Minnetonka offers a vast opportunity for everyone to enjoy. Residents hiking, boating, golf, sailing and wonderful lake front restaurants such as Lord Fletchers and Sunsets. Minnetonka offers buyers an opportunity to live on one of the best recreational lakes west of the Twin Cities with a unique landscape like no other. Towns that are included within the shoreline of Lake Minnetonka are, Orono, Mound, Minnetonka, Excelsior, Minnetrista, Minnetonka Beach, Tonka Bay, Shorewood, Deephaven and Wayzata. One of the best features of Lake Minnetonka are the shorelines. With many bays and passages truly make it a lake you could explore for days. Some of the bays that make up the lake include Maxwell Bay, Crystal Bay, Wayzata Bay, Browns Bay and Grays Bay. Not only can you experience the fun and excitement of water skiing or tubing but the wonderful site-seeing of homes. A fun and amazing lifestyle whether you are enjoying your time at 10 mph or 55 mph. Buying a home is a big step, even for seasoned buyers. Our agents will step up, negotiate hard for your needs and guide you 100% through the process with care and communication the entire time. Have a home to sell on Lake Minnetonka? Find out more about your homes value here.